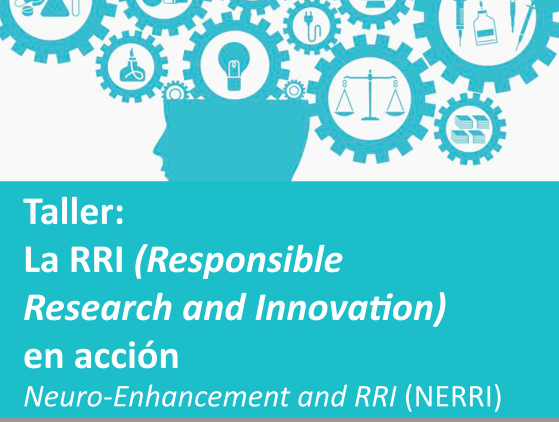 The next 25th of February from 18h to 20h, the Studies Centre on Science, Communication and Society of Pompeu Fabra University (SCS-UPF) will organize a workshop on Responsible Research and Innovation (RRI) as the final event to celebrate the ending of the NERRI Project (Neuro-enhancement: Responsible Research and Innovation). The event is open to the public and will take place at the Charles Darwin room of the Barcelona Biomedical Research Park (PRBB). The workshop is structured to discover the different models of citizen participation in the framework of the experience with NERRI. 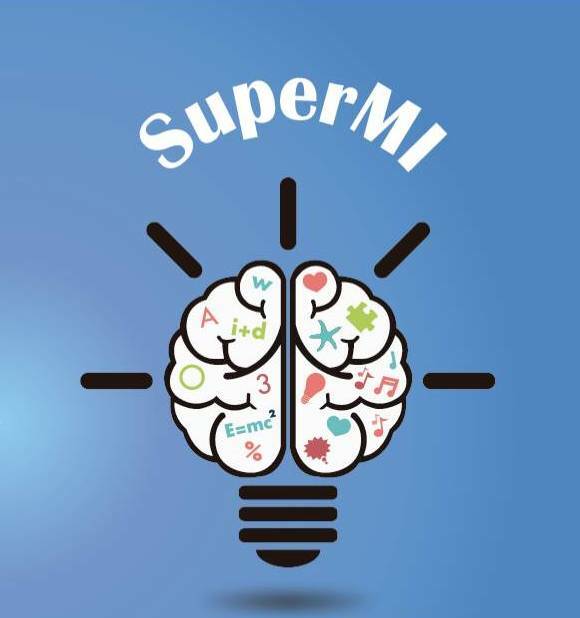 The main results of the project will be analyzed, in particular, the opinions and attitudes of the European citizenship towards the research and application of techniques to increase cognitive capacities in healthy individuals (memory, calculus, concentration capacity, etc.). The European project NERRI (Neuro-Enhancement Responsible Research and Innovation), in which Universitat Pompeu Fabra is one of the members through the Science, Communication and Society Studies Centre (SCS-UPF), is meeting next 22nd and 23rd of June in Rome. A recapitulation of all the activities organized by partners will be done, and the next steps towards the end of the project will be defined. 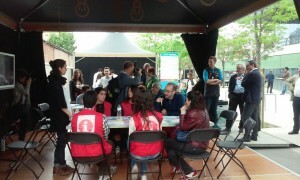 In Barcelona, three activities have been organized in the framework of the NERRI project since last November: a focus group with biomedical research staff and medical students, a Play Decide in the Science, Technology and Innovation festival NOVUM, and a Play Decide with the students of the masters’ programme on Science, Medical and Environmental Communication (UPF-IDEC). These three experiences, together with their respective evaluations, are of great interest for the project since they help understand the perception that different social group have towards neuro-enhancement. Moreover, the NERRI project was presented in the PACITA conference on technology assessment, together with other NERRI members from the UK, Austria and Germany. Furthermore, the Twitter account @nerrispain has been operational since February 2015. Through this portal, information related to the project and interesting links on neuro-enhancement are shared. Internationally, the NERRI consortium is composed of 18 institutions from 11 different countries. Some of the activities undertaken during these months include the First European Brain Council Board Meeting in Brussels, the brain hackathon “Hack the Brain” in London, a NERRI World Café on neuro-technology and society in Enschede (The Netherlands), or the workshop “Shaking the brain: cognitive enhancement” in Lisbon. The NERRI project is a three-year initiative funded by the European Commission under the 7th Framework Programme. The project applies the concept of RRI (Responsible Research and Innovation) to the field of neuro-enhancement. This discipline studies how to improve individual cognitive abilities with the use of technologies, methods or substances. There are two kinds of neuro-enhancement: therapeutic (addressed to people that suffer from a disease and want to improve their health), and non-therapeutic (used by healthy people that want to improve their cognitive abilities). That is, someone who suffers from Attention Deficit Hyperactivity Disorder (ADHD) and takes a medicine to treat it (like modafinil), is an example of therapeutic neuro-enhancement. A case of non-therapeutic neuro-enhancement would be a healthy individual takes that same medicine in order to focus more and study better for an exam. The NERRI project wants to know what do people think about neuro-enhancement and prepare a set of recommendations addressing the future regulation in the field. Universitat Pompeu Fabra has organized on Sunday April the 26th an activity on Neuro-enhancement at the Science, Technology and Innovation Festival NOVUM, in the framework of the European project NERRI. The event has consisted in three intense citizen debates about Neuro-enhancement, during which participants have learnt what this discipline is about and have been able to make their own mind about it.